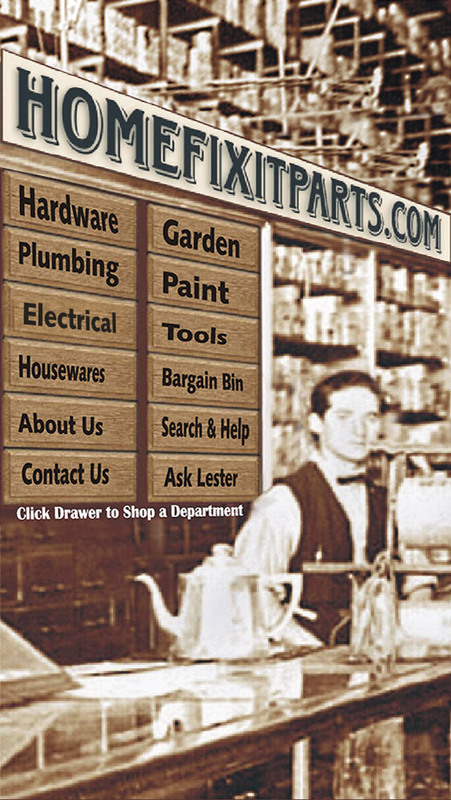 The Old Time Hardware Store Online! Remember when you could go down to the old hardware store in town and old Lester would know just what you needed? Then he would go to an old box or bin and find just the parts you needed to fix what you where working on. Well at HFP.com we are that Hardware Store again online. We have over 75,000 repair parts in stock and if you want to fix it rather than replace it, we can help you do that. Our online instructions will help you with your repair in easy to understand do it your-selfer language. And if you can't find the part you need you can ask Lester and our staff will search our massive listings and tell you if that repair part is available. 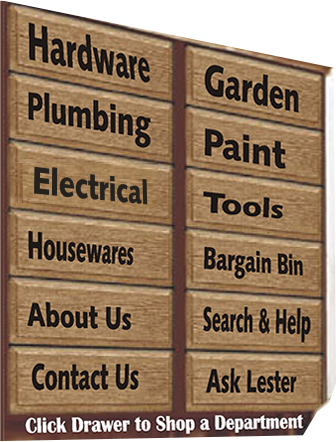 Lester will send you back a link to the bin you need to go into to buy your part. Then your part will be shipped to you FAST. Our unsurpassed product selection and friendly service will make you feel like you are back in your oldtime hardware store. Home Fix it Parts if you want to Fix It! Virtual yet vintage, that's us!